Want help loading or unloading or are limited with space? Our loading and unloading service (Load and Go) is perfect if you do not have enough space to keep the PODS storage container at your property. We will deliver your portable self storage unit to your address and the driver waits and helps you load there and then. You can still load exactly how you want, you simply lock the container with your own padlock and we will transport it to our self storage facility until you need it back or straight to your new property. We do all the driving so there is no need to hire a van. 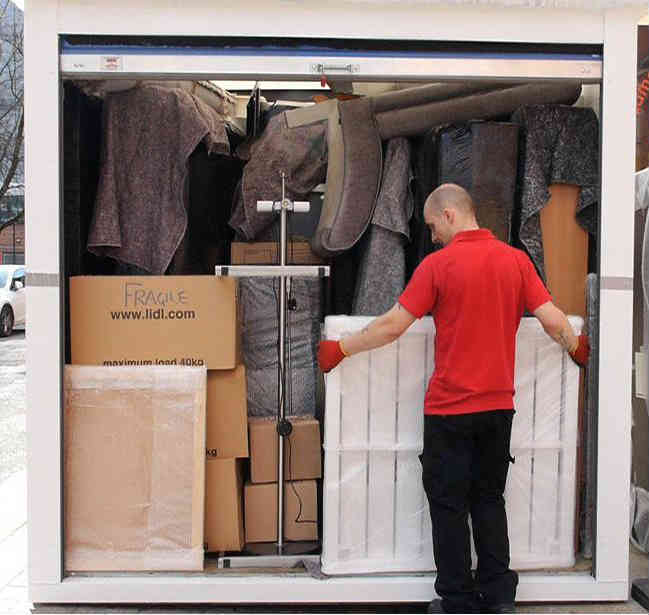 Loading Services are ideal for customers who don’t have room to keep the PODS container on their premises but still want all the benefits of using the PODS mobile self storage service. We just load the PODS container there and then. We move your PODS mobile self storage container to your new location where it can be unloaded on the day or left with you to unload at your leisure, if you have space. Store your PODS container in our secure Self Storage Centre, whether it’s for a few weeks or for a few years. Your items stay in the container for the duration, in the same place you put them. If you have room at your new property we can leave the PODS mobile self storage container with you to unload at your leisure. You can tailor the service to suit you. No Room? No Problem, with PODS. You can combine services dependent on the space you have at either property. Use our load and go service at your first property if there is limited room or you have no driveway and if you have space to lower the PODS container at your new property use our self load PODS service so you can take your time to unload; Or vice versa. We can completely tailor the service to suit you. We also offer a full removal service as well.